We have decided to bring to you a series of Mini-books on some of the Popes. The first is this new series in on the life of Pope Leo XIII. 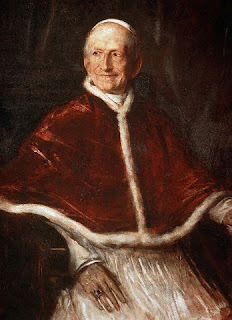 God chose a very strong, but very peace-loving Cardinal from Perugia, Gioacchino Vincenzo Raffaele Luigi Pecci, to be known for all time as Pope Leo XIII, God’s diplomat. You are currently browsing the archives for the Rerum Novarum category.